Lix Removals is a family-run, professional Home Removals Company based in Brighton and Hove, East Sussex servicing home movers all over East and West Sussex, Surrey, London and the UK. If you are looking for a professional, reliable and careful removal service at a sensible price with a personal touch then we are the removals company for you! We love working with our customers from start to finish. Our positive feedback from our very happy customers just shows the care and heart that we put into every home move we do. We are proud to provide a professional, reliable and careful moving service throughout Brighton, Hove and the surrounding areas of East and West Sussex, Surrey and London. To get your free, quick home removals quotation simply call us, email us or text us and we will get in touch to arrange a convenient time to pop round and discuss your moving requirements. Choose between our bespoke packing service, a service where we pack your entire property without you lifting a finger, or our owner packed service where you pack up your possessions and we load and deliver them to your new home. Beds and furniture assembly and disassembly are included in our quotations and we are of course fully insured. Move house within three simple steps! Whether you are moving to Brighton, moving out of Brighton or moving overseas we will be more than happy to provide you with a sensible moving quote. Contact us by either calling, emailing or texting. We'll get back to you with a moving quote and to discuss your moving requirements within 24 hours. We book in your move and see you on your moving day! Our international removals team can also organise moving solutions for customers who are looking to relocate overseas. 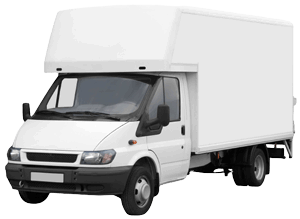 We provide customers with removal solutions throughout Europe from anywhere in the UK and Ireland. Moving out of Brighton? We do that too! As well as servicing all of Brighton and Hove, our home removals service is also used by customers moving to and from other locations throughout the UK and Ireland, and we're more than happy to help our customers and their possessions get to their new homes safely. So if you don’t live locally don’t be put off, our rates for National UK Removals are amazing and we can provide you with a competitive removals quote within 24 hours. We are Rachel & Ibriham, the co-directors of Lix Removals. We are proud to offer a professional, careful and reliable Home Removal Service to all our customers moving into and out of Brighton, Hove, Sussex and beyond! We aim to make Your Home Move as stress-free and as pleasant as possible! Get a Quick & Free Home Removals Quote! Please fill in your details in the form below and we'll get back to you within 24 hours. “Thank you so much for the amazing seamless service you provided in our recent 4 bed house move. We were so stressed out with a long distance move. The guys made us feel 100% confident from the beginning to the final box." “Lix were absolutely fantastic and when I move again I will most definitely use you! When we were packed and ready to leave it only took a couple of hours (brilliant! ), the other house was not ready so the guys went off for lunch, and did not even charge me for that hour!"